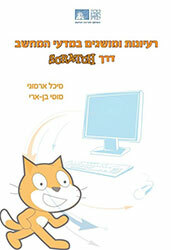 This book will familiarize you with the Scratch visual programming environment. Scratch users have many different goals: some will build games for entertainment, while others will construct simulations of the natural world to use in teaching and learning. The Scratch system can be used by people with different skills: designing a game or a film, creating images, or programming. The authors of this book focus on a specific goal: using Scratch to encourage learning of computer science. Of course, the skills and knowledge that you learn from this book will enable you to use Scratch for any purpose you wish, but we emphasize understanding important concepts and ideas of computer science, and not, for example, those needed to construct a film or a game.